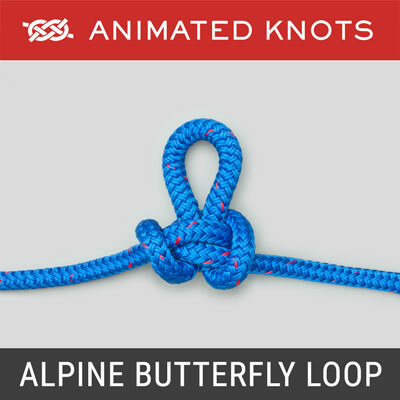 Form a loop in the middle of the rope and tie a Constrictor Knot to mark the size of the loop. Lay the ends in your hand for tying the button. Origin: The Stopper Loop uses the same Button Knot as the Stronger Rope Shackle and provides its significant increase in breaking strain. Here it is made with a loop and the Button provides an anchor point for a Halyard or Sheets terminated using Soft-Shackle loops. The Button Knot is a modified version of Ashley's Wall and Crown Button (ABOK # 880, p 162). 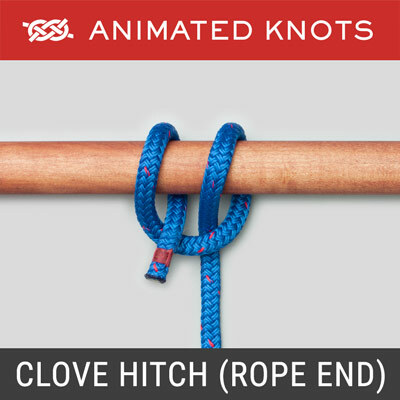 The Animation: This animation focuses on tying the Button Knot. 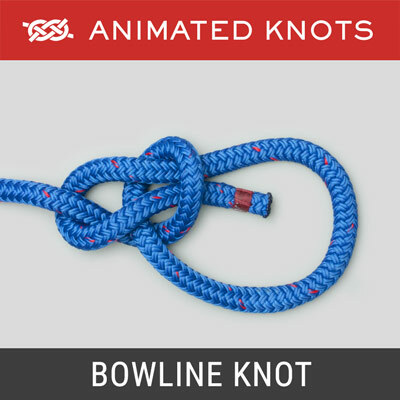 Although one piece of blue rope is used to create the loop, for the animation two different colors are shown for clarity. 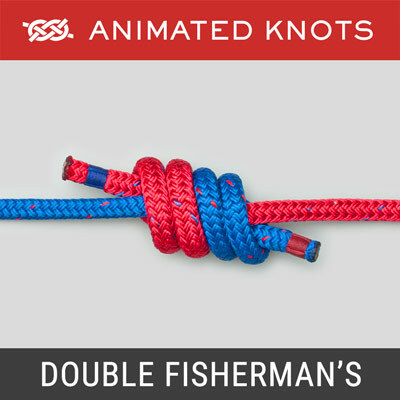 Technique: Tying this Button Knot seems to invite mistakes. The ends are easily passed through the wrong hole. (That was the reason for using two colors.) Tighten the finished Button Knot carefully. Each line is tightened from its origin in the center and then throughout the knot to the tails. Once tightened, each tail is trimmed. 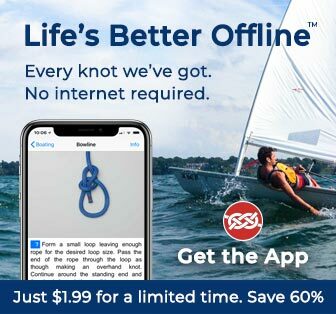 Attaching Halyard or Sheets: The Stopper Loop can be permanently tied through the ring on the sail or it can be attached to the sail using a Girth (Strap) Hitch. The Button is then gripped by the Shackle Loops in the end of the Sheets, only one shown here. This photo is used with permission of Allen Edwards, who writes: "Optionally you can whip the stopper knot so that there is no chance it can fall off when the jib is put in storage." 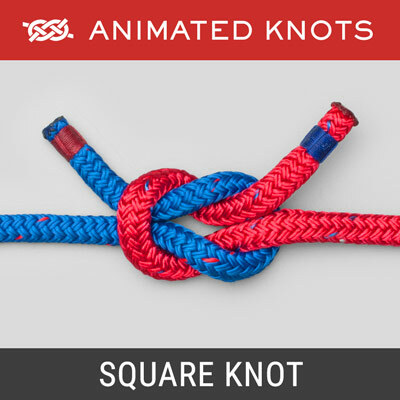 Alternatives: The knot may also be started without the initial loop but just as a loose Overhand Knot. Frame 6 would then appear like this image. 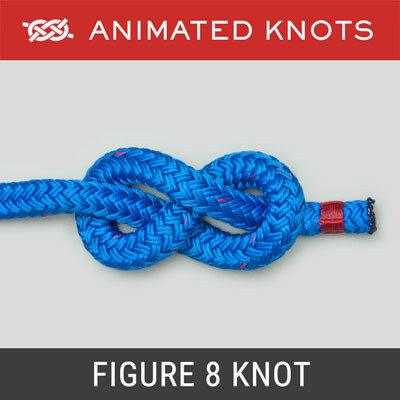 The completed knot then has only the two tails that were used to the tie the knot - no loop. Purposes: Although Brion Toss devised this Button Knot for use in the Stronger Rope Shackle, it forms a neat, general purpose, firm button with either a loop under it or two tails.